Play Wild Works™ online for free now! Get the gears churning and you’ll set off a spectacular slot experience that you'll never forget! 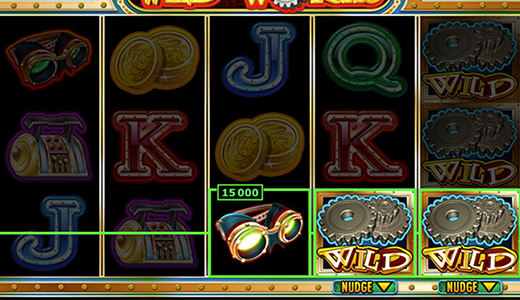 Wild Works™ is an easy to play but turbulent slot with five reels and five win lines. A sure-fire hit for fans of mechanics and anyone who loves their entertainment straight and to the point! Bag Twist wins by lining up three or more matching symbols on one of the win lines that run from left to right and vice versa. Wild symbols can substitute for any other symbol (except Scatters) to land you a winning combination. After appearing, the Wild symbols move down a position during the next spin to improve your chances of winning again. Get three or more Robot symbols (Scatter) to trigger free games. 3, 4 or 5 Robot symbols trigger 3, 10 or 20 free games respectively. In these games, reels two and four will be filled with Wild symbols that remain fixed in place throughout. Further free games can be won during the free games. What does every big machine need to get working? That’s right – gears! 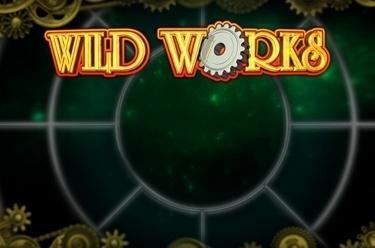 Wild Works™ is a slot dedicated to the magic of mechanics that is a treat for your eyes and ears. Curious? Then spin those reels and see for yourself!